What is the cheapest way to get from Cruce Sevilla to Zahara de la Sierra? The cheapest way to get from Cruce Sevilla to Zahara de la Sierra is to bus which costs 1€ - 2€ and takes 1h 1m. What is the fastest way to get from Cruce Sevilla to Zahara de la Sierra? The quickest way to get from Cruce Sevilla to Zahara de la Sierra is to taxi which costs 11€ - 14€ and takes 13m. Is there a direct bus between Cruce Sevilla and Zahara de la Sierra? Yes, there is a direct bus departing from Montecorto and arriving at Zahara de la Sierra. Services depart five times a week, and operate Monday to Friday. The journey takes approximately 40m. How far is it from Cruce Sevilla to Zahara de la Sierra? The distance between Cruce Sevilla and Zahara de la Sierra is 7 km. How do I travel from Cruce Sevilla to Zahara de la Sierra without a car? 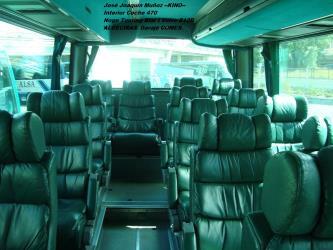 The best way to get from Cruce Sevilla to Zahara de la Sierra without a car is to bus which takes 1h 1m and costs 1€ - 2€. How long does it take to get from Cruce Sevilla to Zahara de la Sierra? 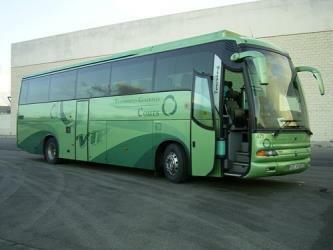 The bus from Montecorto to Zahara de la Sierra takes 40m including transfers and departs five times a week. Where do I catch the Cruce Sevilla to Zahara de la Sierra bus from? Cruce Sevilla to Zahara de la Sierra bus services, operated by Transportes Comes, depart from Montecorto station. Where does the Cruce Sevilla to Zahara de la Sierra bus arrive? Cruce Sevilla to Zahara de la Sierra bus services, operated by Transportes Comes, arrive at Zahara de la Sierra station. Where can I stay near Zahara de la Sierra? There are 810+ hotels available in Zahara de la Sierra. Prices start at 50€ per night. What companies run services between Cruce Sevilla, Spain and Zahara de la Sierra, Andalusia, Spain? 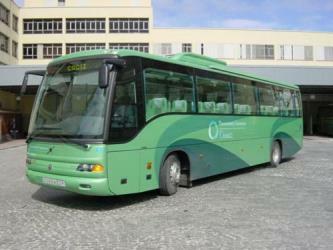 Transportes Comes operates a bus from Cruce Sevilla to Zahara de la Sierra 5 times a week. Tickets cost 1€ - 2€ and the journey takes 40m. Rome2rio's Travel Guide series provide vital information for the global traveller. Read our range of informative guides on popular transport routes and companies - including Thanksgiving 2018: How to travel stress-free, How to get from Florence to Rome and Getting around the Cyclades - to help you get the most out of your next trip. Discover how to get to attractions and hotels near Zahara de la Sierra. The Castle of Zahara de la Sierra (Spanish: Castillo de Zahara de la Sierra) is a castle located in Zahara de la Sierra, Spain. It was declared Bien de Interés Cultural in 1993. The Sierra de Grazalema Natural Park (Spanish: Parque natural de la Sierra de Grazalema) is a natural park in the northeastern part of the province of Cádiz in southern Spain. The park encompasses, within its 51695 ha, a complex of mountain ranges, known collectively as the Sierra de Grazalema, which, in turn, are part of the Cordillera Subbética. Other ranges within the park, comprising the Sierra de Grazalema, include the Sierra de Zafalgar, the Sierra del Pinar, and the Sierra de Endrinal. Pinar (or Torreón), 1654 metres in elevation, is the tallest peak. Castillo de Olvera is located in Olvera in the province of Cádiz, southern Spain. It was built in the late 12th century as part of the defensive system of the Emirate of Granada. Situated on a rock 623 m above sea level, the highest point of the town, the castle has an irregularly-shaped elongated triangle that fits the form of the rock base. It was declared a Bien de Interés Cultural monument in 1982. Rome2rio makes travelling from Cruce Sevilla to Zahara de la Sierra easy. Rome2rio is a door-to-door travel information and booking engine, helping you get to and from any location in the world. Find all the transport options for your trip from Cruce Sevilla to Zahara de la Sierra right here. Rome2rio displays up to date schedules, route maps, journey times and estimated fares from relevant transport operators, ensuring you can make an informed decision about which option will suit you best. Rome2rio also offers online bookings for selected operators, making reservations easy and straightforward.